'The Journey' is back, and it's better than ever. When FIFA 17 came out last year, its standout feature was something called "The Journey." 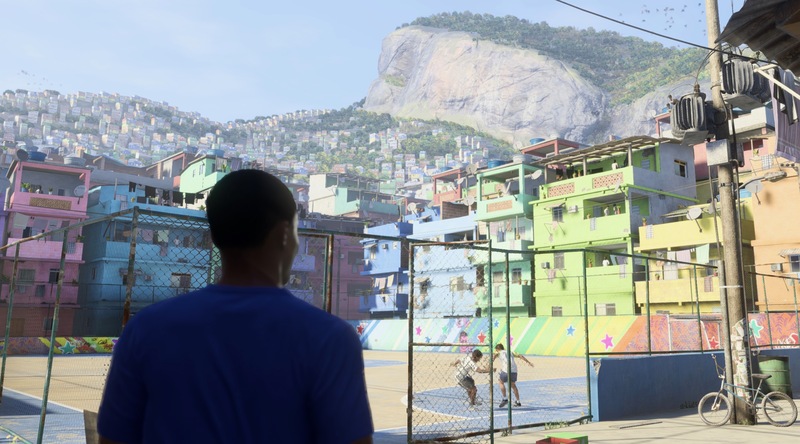 For the first time in the franchise's 24-year history, EA Sports added a story mode where you can pretend to live the life of a professional soccer (er, football) player. The plot centered around a fictional character named Alex Hunter, a British teenager who's trying to make a name for himself in the English Premier League. Your goal, naturally, is to guide him in his quest to do exactly that. Thanks to its success on FIFA 17, the adventure continues with FIFA 18's "The Journey: Hunter Returns." In the latest edition of the title, which arrives on September 29th for PlayStation 4, Xbox One and PC, EA is bringing back the Alex Hunter narrative with branching storylines, celebrity cameos and player customization. FIFA 18 will also be on PlayStation 3, Xbox 360 and the Switch, although "The Journey" isn't available in those formats. For Nintendo's new console, EA had to build a custom engine to power the game, and one of the trade-offs was leaving Hunter's story behind. It's a shame, sure, but at least it shows that EA is willing to give the Switch a chance -- a departure from how it handled the Wii U. For those of you with a PlayStation 4 or Xbox One, though, "The Journey: Hunter Returns" won't disappoint. This year, EA made its game mode even better by adding more plot twists, including one where you end up playing in the North American Major League Soccer after a brief fallout with your club in England. Last season, Alex Hunter's life was based solely around competitions in his own country: the Premier League and the lower-tier Championship. It's nice, then, to see his story expand to other places around the world, just as the life of a real footballer would. Not only that, but it makes a huge difference to be able to have him rock a variety of haircuts, tattoos, T-shirts and pants, something you couldn't do in the original "Journey." Another thing that brings further realism to "The Journey" is that the in-game commentators, Martin Tyler and Alan Smith (in English), will talk about your life before, during and after each match you play. In one of the six chapters of "Hunter Returns," for example, you become the subject of a rumor that claims you'll be leaving your current team for Spanish giant Real Madrid. That prompts them to chat about how your teammates aren't pleased with you, or how you've been doing in previous games. In general, details like that are what make "The Journey" such a fun game to play, and they help keep you hooked for hours. Whether that happens or not, or how it does, depends on the choices you make throughout the game. You'll come across different characters, like your coach, agent or various family members, who ask you questions that could have an effect on your career. Your answers can be either "cool," "fiery" or "balanced," and that will determine how others in your story view your personality. That includes your (Alex Hunter's) social media followers, who can praise or troll you after games and interviews. Yes, even in a fictional world, the internet meme "Don't @ me" still applies. I won't spoil all the celebrity cameos for you, but I will tell you that there's a big moment between you and FIFA 18's cover star Cristiano Ronaldo. That's not all, either -- you should expect to cross paths with a famous NBA player along the way (hint: he's one of the best point guards in the league). Having access to those types of licenses is what's always differentiated EA's FIFA from its main rival, Konami's Pro Evolution Soccer. As much as I love the more realistic gameplay of PES 2018, the lack of official teams and players is enough to keep me coming back to FIFA. Sure, PES does have the rights to teams such as FC Barcelona and Arsenal, but it's still missing Manchester United, Chelsea, Real Madrid and many more of the world's biggest clubs. And while you can download a squad's file from an online forum and install it yourself, that doesn't match the out-of-the-box experience you otherwise get with FIFA. While EA brought much-needed enhancements with player customization and a deeper storyline in "The Journey: Hunter Returns," there are still a few things that could make the mode appealing to broader audiences. There are no playable female characters right now, for starters, although EA's push to put more women in games raises hopes that we could see a feature like that in the future. That said, there is a girl who plays a major role in Hunter's life, and I'm not talking about his mom. It would also be great if you could simulate some matches in "The Journey," even if that meant Alex Hunter missing on gaining any skill points. I say that only because the story does drag on at times, but that might be because I opt to play seven-minute halves -- in Legendary mode, of course. I also wish I could change Alex Hunter's sponsorship deal from Adidas to another brand. Yes, I appreciate Hunter having access to exclusive gear and soccer cleats (aka football boots) from the Three Stripes, but what if I wanted to start wearing Nike instead? There's no way to change that in the new season. Still, I don't need that to enjoy the game, per se, though the story could get more interesting if, as in real life, brands were fighting to make you their athlete. 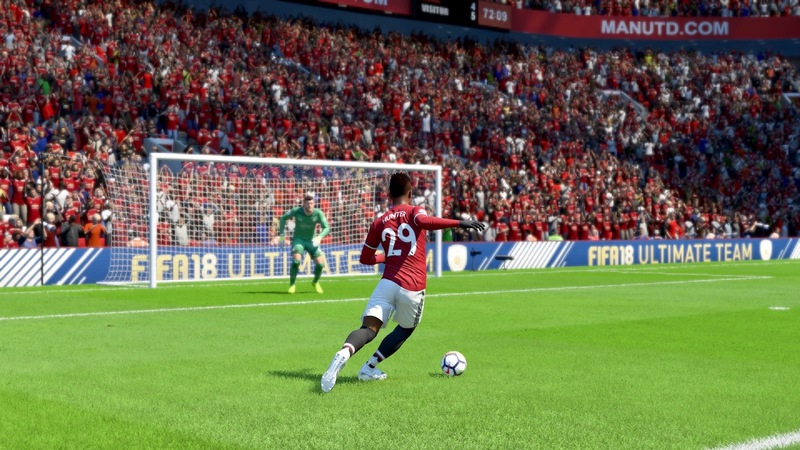 As for the rest of FIFA 18, which is again powered by EA's Frostbite engine, you'll notice lifelike graphics on players and stadiums, as well as a smarter AI that makes it slightly harder to score goals -- the usual upgrades on the yearly release. Then you have ICONS, a new feature that lets you use legends such as Ronaldo (the original, not Cristiano), Maradona and Ronaldinho in Ultimate Team, EA's build-your-own-squad, card-trading mode. But the main highlight here is, without a doubt, "The Journey: Hunter Returns." The improvements to the narrative make FIFA 18 feel like more than just a sports game, and that will further cement the franchise as the most popular among soccer fans.